KRATOM - Is Kratom a Safe Herbal Supplement? Herbal medicine is often looked down upon by those in mainstream western medicine. Here's why the medical profession's snubbery is hypocritical. “As our nation struggles with epidemic levels of opioid abuse, we should be doing everything possible to ensure that those suffering with addiction have access to FDA-approved medicines and appropriate treatment options; not unregulated substances bought and sold over the internet,” said one health agency spokeswoman in regards to kratom. Let us now examine her statement for validity, critical thinking and logic. Claim Number One: "we should be doing everything possible to ensure that those suffering with addiction have access to FDA-approved medicines." Her statement also assumes that the person WANTS to take synthetic pharmaceutical drugs. There exists a growing body of consumers who want safe, natural alternatives. It is our hypothesis that our co-evolutionary mutualistic relationship with plants makes full spectrum plant medicine the most fitting solution to our health needs. Additionally, those suffering from addiction should have access to a variety of treatment modalities, including harm reduction - not just the one size fits all government approved medicines. In fact, FDA APPROVED drugs carry an enormous risk, and they themselves admit this. HOW BIG OF A RISK? Every substance carries risk factors. Even water. Drink too much water too fast and you can die. So, the responsibility is on the consumer to educate himself or herself before making any decisions at all. Risk factors aside, the medical merry go round makes a person dizzy after awhile. Imagine if you will for a moment that you have a herniated disc, two pinched nerves, cervical osteoarthritis, degenerative disc disease and bursitis in your neck and shoulders. Now, imagine that you've suffered from depression, bipolar disorder and borderline personality disorder your whole life. Add a dash of panic disorder with agoraphobia plus Interstitial Cystitis and you have a recipe for disaster. At one point my whole life revolved around doctor appointments, trying new "safe and effective FDA approved" pharmaceuticals, none of which worked and all had side effects that were worse than the condition itself, if you can imagine that. These people forget that chronic pain drains you of your will to live and that going to doctor appointments every week, particularly when you can't work due to your pain and have no job and no car and no support and so often times we pain patients become fed up and are searching for a way out of the medical merry go round. What happens when we analyze the safety record of these "safe and effective" drugs? The whole argument falls apart because ADR's are, according to the Institute of Medicine, the fourth leading cause of death with roughly 124,000 deaths annually due to drug reactions. The 2 most obvious questions are “why is kratom so controversial?” and “why is the DEA planning to ban it?” From my analysis of the literature1 and the DEA’s announcement,8 it is readily apparent that the controversies and the DEA’s position are based on the reported opioid like effects of kratom, questions about its toxicities and addictive potential, and uncertainties about its efficacy and safety in the management of opioid withdrawal and pain. 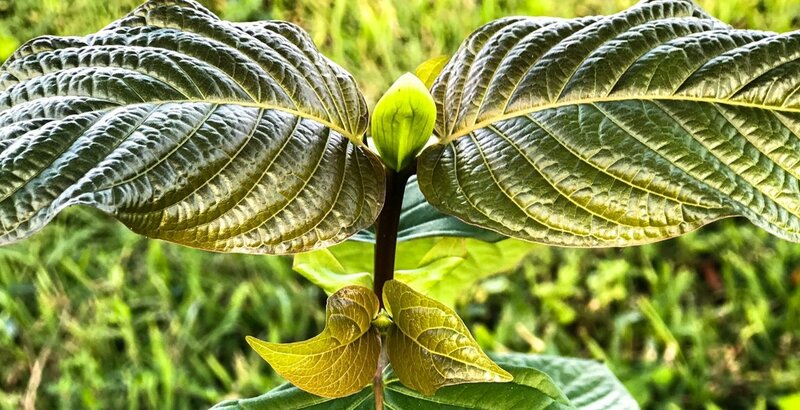 Although no well-controlled clinical trials have been done, strong evidence demonstrates that the effects of kratom are actually quite different from those of classic opioids. For example, at low to moderate doses, kratom has mild stimulant properties, unlike opioids, which are mainly sedating. In addition, kratom does not usually produce an intense high or euphoria. Importantly, even at very high doses, kratom does not depress respiration. At the molecular level, mitragynines are structurally quite different from traditional opioids such as morphine. Moreover, recent studies indicate that even though the mitragynines can interact with opioid receptors, their molecular actions are different from those of opioids. In two elegant studies, Váradi et al and Kruegel et al showed that several mitragynine analogs acted as agonists at µ opioid receptors and antagonists at δ opioid receptors. Most notably, even though they activated the G-protein–mediated signaling pathway, much like traditional opioids, they did not “recruit” β-arrestin-2, which has been implicated as a mediator of opioid side effects and dependence. Using a mouse model, Váradi et al showed that kratom-based drugs had marked analgesic effects but with far fewer side effects, slower development of tolerance, and lower potential for dependence than morphine. Based on all of the evidence, it is clear that kratom and its mitragynine constituents are not opioids and that they should not be classified as such. The current epidemic of opioid abuse and addiction in the United States has recently been highlighted in several major commentaries, and it has prompted action by the federal government and the Centers for Disease Control and Prevention. The most decisive action has been the development of new guidelines by the Centers for Disease Control and Prevention for the prescribing of opioids. In this environment, physicians are being discouraged from prescribing opioids, especially for long-term use, and patients with chronic pain conditions are seeking alternatives. In addition, many patients who have taken opioids for chronic pain are seeking alternatives that lack the side effects and addiction potential of opioids.11,12 Many people have turned to kratom with the belief that it may provide an effective and reportedly safe alternative to prescription or street opioids. In my opinion, the therapeutic potential of kratom is too large to be ignored. Well-controlled clinical trials on kratom or the many active compounds in kratom are needed to address this issue. 1 Institute of Medicine (US) Committee on Quality of Health Care in America; Kohn LT, Corrigan JM, Donaldson MS, editors. Washington (DC): National Academies Press (US); 2000. 2 Lazarou J, Pomeranz B, Corey PN. Incidence of adverse drug reactions in hospitalized patients: A meta-analysis of prospective studies. JAMA 1998;279:1200–1205. 3 Gurwitz JH, Field TS, Avorn J, McCormick D, Jain S, Eckler M, et al. Incidence and preventability of adverse drug events in nursing homes. Am J Med 2000;109(2):87–94.